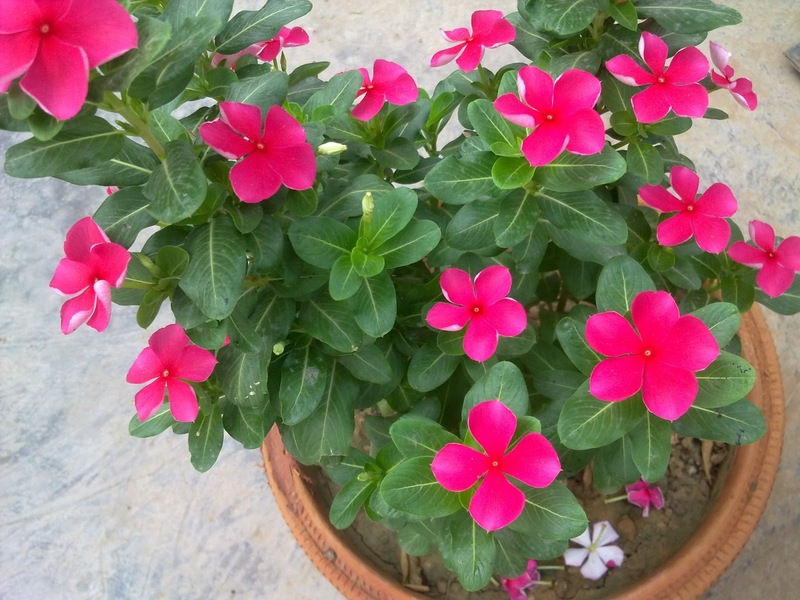 Past monsoon, while my regular visit to a plant vendor, my eyes got stuck on the vivid colours, of the vinca. What caught my eyes, was the vivid colours and numbers of flowers, that small plant had. So, I brought home, two vinca plants, which were a hybrid variety. Although, I got the plants which were already blooming, a few days back, the beauty of flowers, the vividness of the flowers increased after the plants were moved from the planting packets to the pots. The colours increased and so did the size of the flowers. 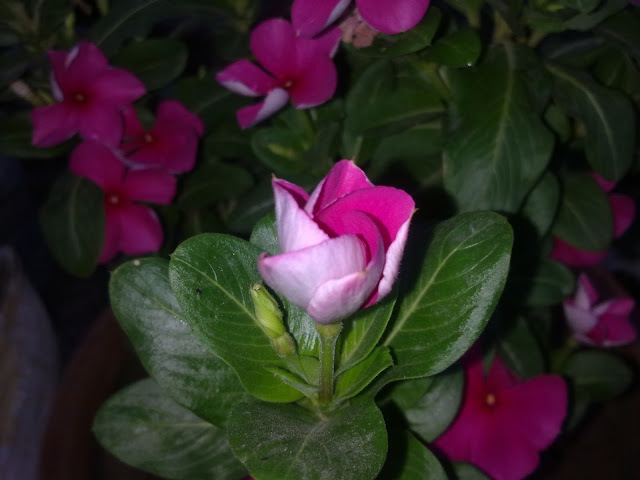 The vincas bloomed for a whole three months, during the rainy season. The plants, actually looked like artificial flowers owing to the shiny leaves of the hybrid plant. 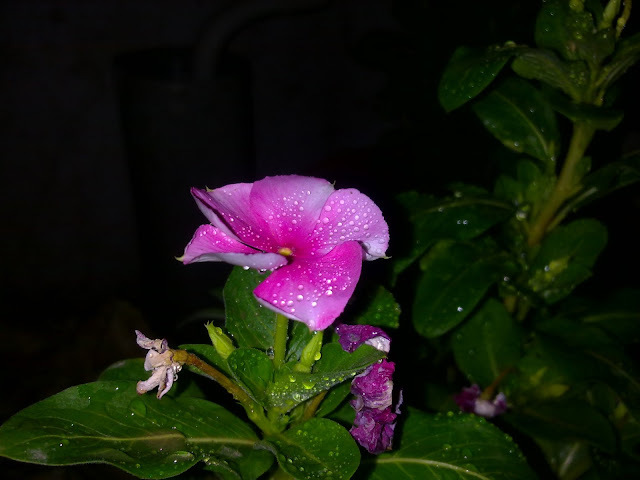 A picture of one of my vinca plants that was taken about 10 days after I brought both the plants. The water is from the rains during the ongoing rainy season. 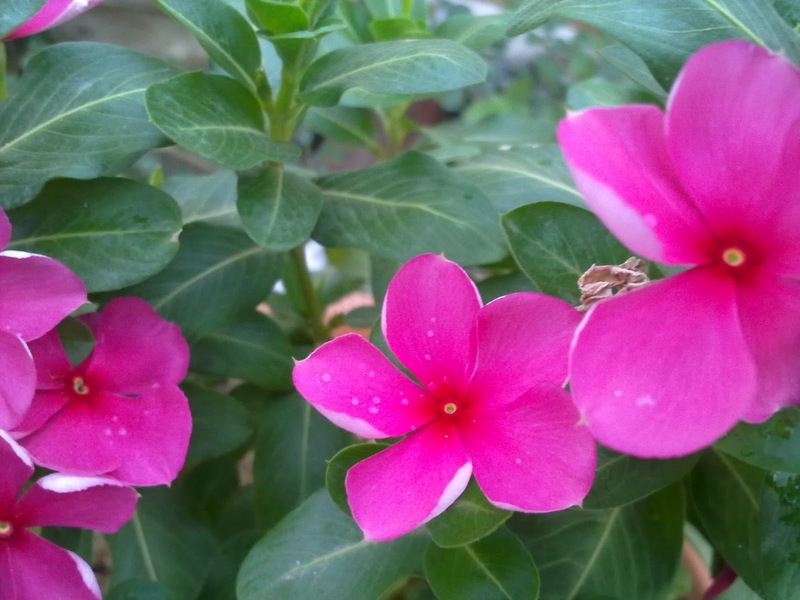 A picture of the same vinca, photographed above. This photo was taken about a month after I replanted the plants in my pots, nourishing them with organic vermi compost. Try comparing the colour of the flowers with the previous one. The same vinca photographed above. Photograph clicked during day time. most probably on a sunday. One of the pots of the vinca.